We had a Karcher at work and it was great. i see lavor units but easily 1000 quid below other new units so wary. ISTR there was a guy on eBlag who serviced & reconned Karchers as his main business, and would flog 2nd hand units that he'd rebuilt for very good money with some guarantee. Long time ago I saw it though. We have an edge at work. You can do hot or cold water or steam and add water softener and detergent if you like. 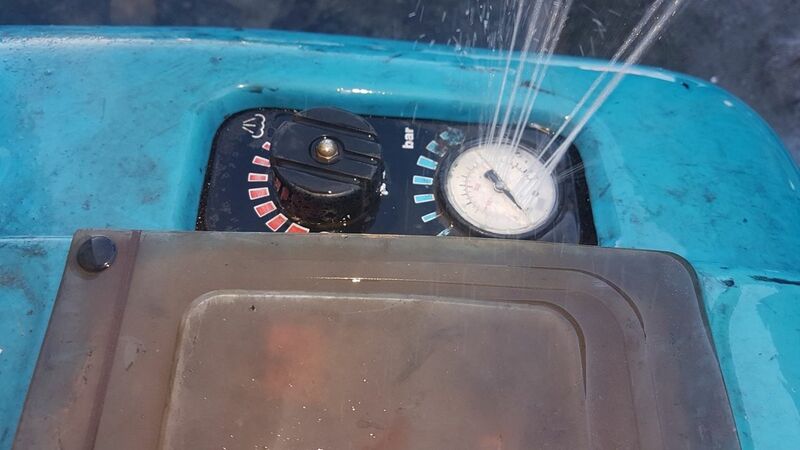 240v pump with a diesel burner for heat. It's pretty old now, cold be getting towards 20 years. When we had lorries it was used regularly and worked ok although an annual service was a fortune, as much as a service on a car. Now it never really gets used, just steam bits of machinery or wash the forklifts every few years and we have to nurse it along a bit. Tend to get problems with valves not shutting off or the burner not igniting from time to time. For it's age and lack of use I guess you can't really knock it. I have a cold Nilfisk at home which I bought as the Karcher range had gone to wireless controllers which just seemed overkill and like something that would go wrong. I've been happy with it so far, they do hot water washers i believe. For "that film" you could try TFR (Traffic Film Remover). i use TFR currently and definetly needs a wipe but doesnt do too well on hydraulic oil or grease hence heat. having a look at nilfisk, some nice units there. I bought a reconditioned one off a steam cleaner service and repair man. its a big twin axle thing with a stainless cover. It was £650 about 12 months ago. id say it has more pressure and is hotter at full temp than the archers we used to get at work, these would typicially last about 4-5 years before total death but were doing about 4 hours a day seven days a week. some proper TFR from autosmart or similar works wonders with an extendable wash brush. I think running them through with cold water after a hot wash, not letting them freeze and regular use is a major factor in longevity. good point about clean cold water at end - guess a nice flush for system. shed is insulated and never below 5 degrees as theres a heater in there. I have had a Gerni hot or cold machine since 2002. Its a professional machine but I only use it for my own stuff, so its not had a massive amount of use. However, it always works properly, and never let me down. I am still on the original lance and hose, but then I do take care of it and do not run over the hose. I don't think they are sold in this country now, but they look mighty similar to the Nilfisk machines. Incidentally, I worked for an Agricultural and Plant dealership until 2001. 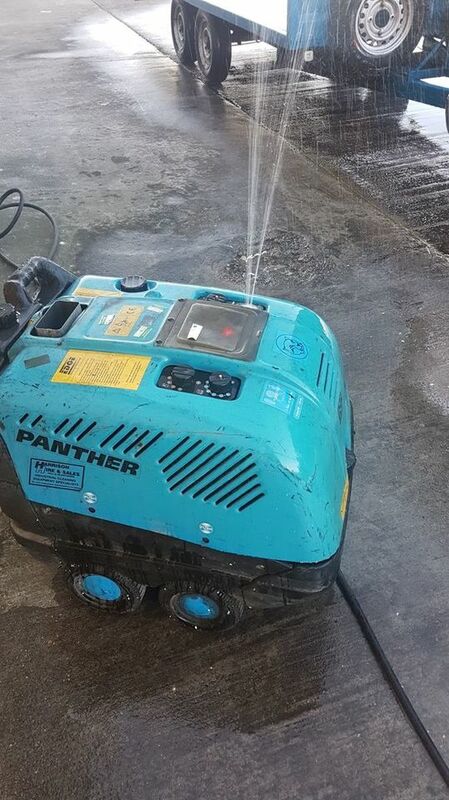 We had a hot pressure washer there, which the guys all used, and when I left, I missed having one, hence I bought my own. We were a Karcher agent, and back then, the projected life of their small cold machines was...….. I've tried a couple of different detergents through it over the years but it was never that good, you always had to brush it to get the film off. Obviously it was good for knocking solid lumps off before you brushed it to save scratches and for doing the chassis etc, we supply concrete factories and the vehicles get covered in cement which hardens and scratches if you just went straight at it with a sponge or brush. In the end I just took the lorries through a truck wash or asked the garage to wash them when they went for their inspection as it was easier, we don't run lorries any more and sub all the work out now so it's only pickups or vans that need cleaning and you can do those anywhere. They love a good name - we used to use their tar remover, called "tardis"
Sorry for the delay, it worked well when it was coaxed into life, but a lack of care and maintenance made it a frustrating process. this has been a little frustrating as selling old petrol unit privately has resulted in 3 folks expressing interest, one even messaging at time he was due to arrive to say had bought new elsewhere. so i am virtually a done deal on mac drop revolution 11/120 unit from same folks i bought original unit from. they have offered a good trade in so hard to refuse. Local company so perfect support etc. will post a bit of review once deal done and its here. yes you can and it works quite well... until the heat melts the hose pipe........ DAMHIK !!!! !